My spirit sang a melody in the Light of the Heavens shining upon us. 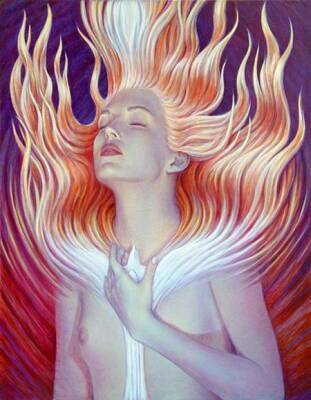 numinous in time, blazing into Eternity. Seeing You, being *with* You, Beloved, is a blessedness beyond measure. You are the treasure of treasures. You are my cup of joy -- & my joy overflows. my breath, my breathlessness, my deathlessness. is the amorousness of Divinity that wraps us warm -- nestled into the arms of Grace.